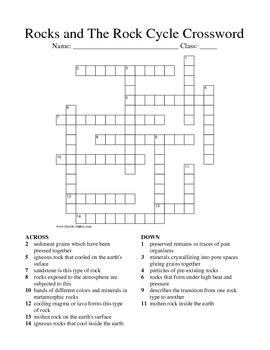 This is a crossword that reviews material about the three types of rocks and the rock cycle for grades 7-12. 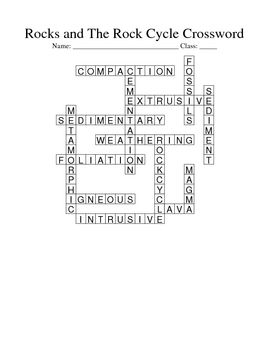 Some of the words used are metamorphic, cementation,extrusive,foliation, and fossils. 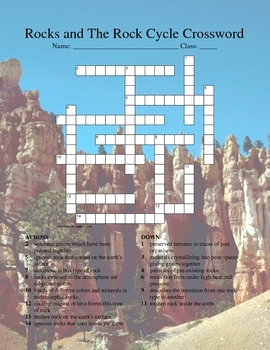 This puzzle comes with 3 pages: the first one has a picture of Bryce Canyon as the background, the second page is a plain crossword without a picture, and the third is an answer key. Very professional looking! Crosswords created at www.puzzle-maker.com for use commercially. Thanks!